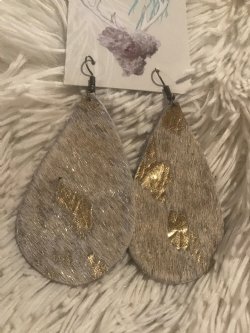 So trend right for 2018! 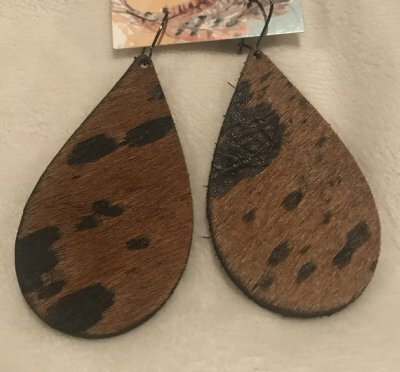 Cowhide and leather is all over the market, so these earrings hit all the trends. 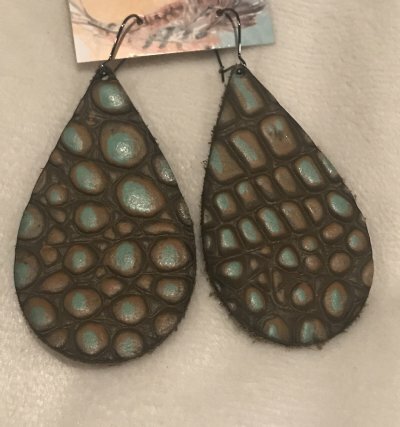 Choose from traditional brown cowhide, metallic cowhide, and leather with turquoise accents.